The north-easterly breeze continues to play hide and seek with us, as wind conditions were shifty and inconsistent earlier this afternoon. 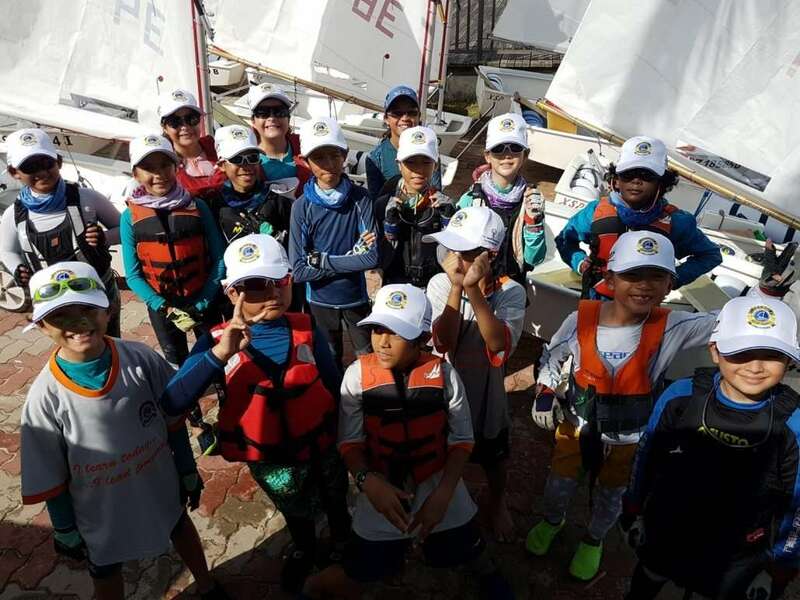 Day 2 of the Silver Fleet Championships sees a shuffle in the results, with Day 1’s leader Caden Tan losing his comfortable lead after a disappointing performance. Caleb Ng from MOESSC cruised his way into the top 3 with another bullet in today’s first race, adding to his two bullets from Day 1. This in addition to discarding the BFD from Race 2, puts him on 34 points in 3rd. The rest of the fleet posted mixed results, having to contend with shifty winds and strong currents. Today’s top performer from CSC goes to Christine Tan! 2 races in the top 20 pushes her into 22nd place, a good improvement from yesterday. The rest of the CSC sailors are not far behind, with 6 more sailors placing in the top 40. 1 more day and 2 more races for the Silver Fleet – enjoy the photos and see you tomorrow!